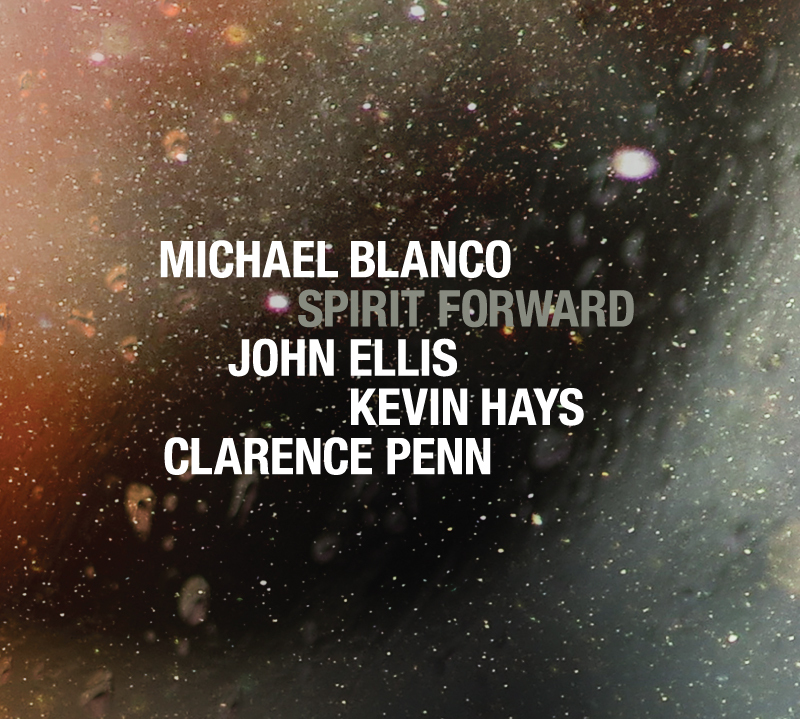 The story of bassist/composer Michael Blanco's third album as a leader, Spirit Forward, available on Brooklyn Jazz Underground Records on October 7, 2016, is primarily the story of how Blanco assembled this particular group of musicians, and how they in turn inspired the composer to write compelling music for this very special and unique combination of musical personalities; the Michael Blanco Quartet, featuring John Ellis (tenor saxophone), Kevin Hays (piano) and Clarence Penn (drums). The album title Spirit Forward is a bartending term for a type of cocktail made with strong spirits (like the Manhattan or Martini) that seeks to highlight and enhance the flavor of the base spirit, not to mask its flavor. These cocktails are harmonious and balanced, yet bold. "When choosing Spirit Forward for the album title, I had this definition in mind and how it relates to my music. It's a good metaphor for how strong musical personalities can come together and create a dynamic unit, while still maintaining their individuality. I also had a few other meanings in mind: I like the idea that the act of releasing an album of original music is akin to putting your 'spirit forward' out into the world, as well as the way the word spirit can be used to mean motion (like 'spirit away'), so Spirit Forward also means forward motion and continuing progress," explained Blanco. John Ellis is a longtime friend and musical comrade whose soulful and melodic style is the perfect "voice" for Blanco's melodies. Ellis has a deeply personal and well-developed sound, and is always tasteful and musical above all else. Blanco elaborated, "there's no pretense in his playing and everything he plays sounds like a melody to me. I first met John at a jam session at Aaron Goldberg's Brooklyn apartment sometime around 2002. We hit it off musically and personally and have worked together a lot over the ensuing years. He played on my previous 2013 CD release, No Time Like the Present, and I still close most of my gigs with 'Ellis Island,' a tune I wrote for him that has become a frequently requested 'hit' among the people who come to hear my group." It was during gigs supporting No Time Like the Present that Blanco connected with the other members of the Spirit Forward quartet. "I had admired Clarence Penn's playing for years, but it wasn't until a 2013 gig I led that we first played together. Clarence showed up to the gig and blew me away. He approached the music in a way that both challenged and supported the band, while adding a level of rhythmic and dynamic complexity that really brought the music to another level. Our musical chemistry and bassist/drummer hookup was apparent from the first tune of the night, and by the time the gig was over I knew that I had found my new favorite drummer. Clarence has been on every gig that my group has performed since that night, and even though finding dates that work with his busy schedule can be difficult, I plan to try to keep it that way!" said Blanco. Blanco met Kevin Hays as sidemen on a 2014 gig (at SubCulture) with vibraphonist Anthony Smith's band. "After being a fan of Kevin's for many years, it was a thrill to finally play with him, and I could hear exciting possibilities for my music in his playing. His incredible harmonic and rhythmic flexibility, his lyricism, and sense of adventure all appealed to me - and I had a feeling that Kevin, Clarence, and John would be a really potent combination," said Blanco. And he was right of course, evidenced in the music on Spirit Forward. After assembling his "dream team" the band played several gigs together over the course of 2015, leading up to the August 2015 recording session for this release. "I was able to experiment with my compositions during the gigs and rehearsals, and make small tweaks between gigs to make the music work better for the band. We even had a really fun 'pre-recording celebration' gig at The Cornelia Street Cafe the night before heading into the studio, which fine-tuned the music even more. I hope the listener enjoys it and digs it as much as we do," said Blanco. More on the music on Spirit Forward from Michael Blanco: The Mystic Chord is a six-note chord used by Russian composer Alexander Scriabin, and believed by Scriabin to have mystical properties. While practicing at home one day, I discovered that I could create a bass line with an interesting 6/4 groove by spelling out this chord one note at a time. The melody has a kind of funky, lopsided quality, and the rest of the song explores the possibilities of the "Mystic Chord" sonority, with a melodically contrasting "B" section that is in 5/4 time - juxtaposing nicely with the 6/4 groove. Notes From Underground was originally written for a gig at The Cornelia Street Cafe. The Cafe has been a wonderful home base for my group while I was developing the music for this album and continues to be the main spot where I lead my group in town. With this tune, I tried to capture the feeling I have when I'm performing there - and also the feeling that I have when I'm in the audience of any of my favorite jazz clubs. When coming up with a title, I thought of the low register piano/bass counter-melody that offsets the tenor lead at various points of the tune, as well as the fact that so many of my favorite jazz clubs are in basement rooms - hence the double entendre. Song Without Words is a tuneful composition that I could easily imagine being sung. I wanted to write something overtly lyrical and pretty - something that can seem like a bold move in today's jazz climate. After recording one take with all of us sticking very closely to the melody in our improvisations, we took a lunch break and then recorded the take that is heard on the album. We loosened up and stretched out a little more, but still captured the heart-on-your-sleeve lyricism that I was going for. 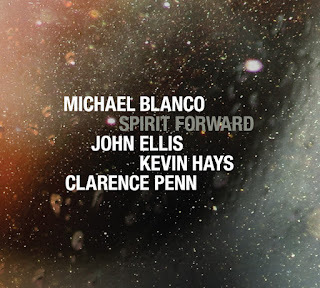 Spirit Forward has a swinging, open feel, and an optimistic vibe. The form has a few mixed meters, and some harmonic twists and turns that make it both challenging and fun to play. Kevin, John, and I all stretch out with solos on this one. Acrobat gets its name from the wide, acrobatic leaps in the bass line of the "B" section of the tune. It has a driving straight-eight groove, a hummable melody, and features great solos by both Ellis and Hays. Last Stable Orbit is a somewhat quirky blues, that doesn't ever quite resolve in the way that you expect it to. The title is an astronomy term for the last orbit possible before an object (planet, spaceship, etc) gets sucked into a black hole! Reasons To Be Pretty is named after a play by Neil LaBute that I went to see on Broadway in 2009. The performance really moved me, so I bought the script and read it again at home. This song actually differs in mood quite a bit from LaBute's play - but I thought the title was a good fit for this piece. Hays (once again) plays a gorgeous solo. The Boulevardier is the name of one of my favorite spirit-forward cocktails, as well as old-school French slang for a stylish "man about town." The unison tenor sax/bass melody was inspired by a lick I heard guitarist Jonathan Kreisberg play on a gig we did together. The form and harmony are loosely inspired by Thelonious Monk's Green Chimneys, and it's a straight ahead, swinging piece. Michael Blanco is a two-time recipient of the ASCAP Foundation Young Jazz Composer Award (2005, 2006), moved to NYC in 2000, and has since worked with many artists at the forefront of the contemporary jazz scene, including saxophonists John Ellis, Rich Perry, Donny McCaslin, Jon Irabagon, and Will Vinson; guitarists Lage Lund, Jonathan Kreisberg, Gilad Hekselman, and Mary Halvorson; pianists Kevin Hays, Aaron Goldberg, Adam Birnbaum, and David Cook; and drummers Clarence Penn, Donald Edwards, Ari Hoenig, Mark Ferber, and Tomas Fujiwara. He has been a member of bands led by Alan Ferber, Bob Reynolds, Shayna Steele, Russ Nolan, Doug Wamble, Patrick Cornelius, John Chin, Richard Doron Johnson, and Frank Basile, among others. Blanco's debut album In The Morning was released in 2006. JazzTimes Magazine called the album, "a remarkable introduction that leaves one eager to hear more," and described Blanco's compositions as having a, "dusky, imploring quality, with catchy, insistent hooks and compelling harmonies," while Bass World declared that "His approach to composition is fresh and the arrangements are lush and compelling." Blanco's second album, No Time Like The Present, was released in 2013. The album made Ralph A. Miriello's "Best of Jazz 2013" list in the Huffington Post, while Marc Meyers at JazzWax described it as, "a beautiful album with compositional depth and technical maturity," and proclaimed, "Blanco understands the meaning of originality - tastefully rolling out your creative vision while keeping the customer satisfied." Blanco has been selected twice by the U.S. Department of State to be an artistic representative for the U.S. abroad. Blanco is also in high demand outside of the world of jazz: he has performed in the orchestras of over thirty Broadway shows and is currently the bassist for the 2015 Broadway revival of Fiddler on the Roof. Recent highlights from his busy freelance career include a recording with the legendary violinist, Itzhak Perlman, performing on the soundtrack to the Cohen brothers' major motion picture, Hail Caesar!, and a television appearance on USA's Royal Pains, alongside violinist Joshua Bell. Blanco has performed at major NYC venues including Carnegie Hall, Radio City Music Hall, Town Hall, Birdland, Iridium, Smoke, and Blue Note, as well as smaller important laboratories for jazz like The Cornelia Street Cafe, Smalls, ShapeShifter Lab, Barbes, Korzo, IBeam, and The Bar Next Door at La Lanterna. Although he spends most of his time in NYC, Blanco has also had the pleasure of performing around the world.